CARFAX ONE OWNER, BLUETOOTH, POWER SEAT, MOON ROOF, LEATHER, NAVIGATION, Ivory w/Leather Seat Trim, 4-Way Power-Adjustable Front Passenger Seat, Alarm & Immobilizer Anti-Theft System, Convenience Package, EC Auto-Dimming Rearview Mirror w/ Compass, HomeLink Universal Transceiver, Integrated Back-Up Camera w/Static Line, Leather Door Trim, Leather Package, Leather-Trimmed Seats, Power Front Driver & Passenger Heated Seats, Push Button Starting System, Smart Key System w/Panic Wireless Door Lock. Included with our Pre-Owned Promise you will received: * 12 Months or 12k mile Wearable Item Coverage * 6 Months or 6k mile Major Item Coverage * Love or Leave it Promise with 3 Day Refunds or 30 Day Exchanges * 12 Months of Roadside Assistance and much more!! Click her for complete details http://www.hoselton.com/about-us/hoselton-preowned-promise/ Awards: * 2012 KBB.com 10 Most Comfortable Cars Under $30,000 * 2012 KBB.com Best Resale Value Awards * 2012 KBB.com 10 Best Sedans Under $25,000 Please call us @ (585) 662-2670 with any questions and to check availability. 4WD, Ash w/Fabric Seat Trim or Fabric Seat Trim w/Base Plus EVP Package, ABS brakes, Alloy wheels, Electronic Stability Control, Front dual zone A/C, Heated door mirrors, Illuminated entry, Low tire pressure warning, Remote keyless entry, Traction control. Included with our Pre-Owned Promise you will received: * 12 Months or 12k mile Wearable Item Coverage * 6 Months or 6k mile Major Item Coverage * Love or Leave it Promise with 3 Day Refunds or 30 Day Exchanges * 12 Months of Roadside Assistance and much more!! Click her for complete details http://www.hoselton.com/about-us/hoselton-preowned-promise/ Awards: * 2012 KBB.com 10 Best Late-Model Used Cars Under $15,000 * 2012 KBB.com Best Resale Value Awards Please call us @ (585) 662-2670 with any questions and to check availability. CARFAX ONE OWNER, CLEAN HISTORY & NO ACCIDENTS, BACK UP CAMERA, ALLOYS, MOON ROOF, TOW PKG, 4WD, 3.5L V6 DOHC, 4WD, Ash w/Fabric Seat Trim, Daytime Running Lights, Driver & Passenger Seat Heater, JBL AM/FM 6-Disc In-Dash CD Changer, Limited Extra Value Package, Power Seat, Premium Seating Package, Sport Leather Seat Trim, Tilt & Slide Moonroof w/Sunshade, Tow Prep Package. Included with our Pre-Owned Promise you will received: * 12 Months or 12k mile Wearable Item Coverage * 6 Months or 6k mile Major Item Coverage * Love or Leave it Promise with 3 Day Refunds or 30 Day Exchanges * 12 Months of Roadside Assistance and much more!! Click her for complete details http://www.hoselton.com/about-us/hoselton-preowned-promise/ Awards: * 2010 KBB.com 10 Best Used Family Cars Under $15,000 * 2010 KBB.com Best Resale Value Awards Please call us @ (585) 662-2670 with any questions and to check availability. Black w/SofTex Seat Trim, ABS brakes, Alloy wheels, Electronic Stability Control, Heated door mirrors, Illuminated entry, Low tire pressure warning, Remote keyless entry, Traction control. Included with our Pre-Owned Promise you will received: * 12 Months or 12k mile Wearable Item Coverage * 6 Months or 6k mile Major Item Coverage * Love or Leave it Promise with 3 Day Refunds or 30 Day Exchanges * 12 Months of Roadside Assistance and much more!! 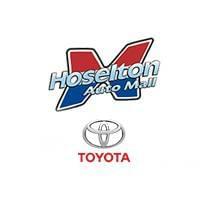 Click her for complete details http://www.hoselton.com/about-us/hoselton-preowned-promise/ Awards: * 2014 KBB.com 10 Best Used Family Cars Under $15,000 * 2014 KBB.com 10 Best Hybrids Under $30,000 * 2014 KBB.com 10 Best Late-Model Used Cars Under $15,000 * 2014 KBB.com Best Resale Value Awards Please call us @ (585) 662-2670 with any questions and to check availability. CARFAX ONE OWNER, BLUETOOTH, BACK UP CAMERA, ALLOYS, POWER SEAT, HEATED SEATS, MOON ROOF, LEATHER, 4WD, 3.5L V6 DOHC, 4WD, Ash w/Fabric Seat Trim or Sport Leather Seat Trim, Daytime Running Lights, Driver & Passenger Seat Heater, JBL AM/FM 6-Disc In-Dash CD Changer, Limited Extra Value Package, Power Seat, Premium Seating Package, Sport Leather Seat Trim, Tilt & Slide Moonroof w/Sunshade. Included with our Pre-Owned Promise you will received: * 12 Months or 12k mile Wearable Item Coverage * 6 Months or 6k mile Major Item Coverage * Love or Leave it Promise with 3 Day Refunds or 30 Day Exchanges * 12 Months of Roadside Assistance and much more!! Click her for complete details http://www.hoselton.com/about-us/hoselton-preowned-promise/ Awards: * 2010 KBB.com 10 Best Used Family Cars Under $15,000 * 2010 KBB.com Best Resale Value Awards Please call us @ (585) 662-2670 with any questions and to check availability. CARFAX ONE OWNER, CLEAN HISTORY & NO ACCIDENTS, BLUETOOTH, BACK UP CAMERA, ABS brakes, Electronic Stability Control, Illuminated entry, Low tire pressure warning, Power moonroof, Traction control. Included with our Pre-Owned Promise you will received: * 12 Months or 12k mile Wearable Item Coverage * 6 Months or 6k mile Major Item Coverage * Love or Leave it Promise with 3 Day Refunds or 30 Day Exchanges * 12 Months of Roadside Assistance and much more!! Click her for complete details http://www.hoselton.com/about-us/hoselton-preowned-promise/ Awards: * 2016 KBB.com Best Buy Awards Finalist * 2016 KBB.com 5-Year Cost to Own Awards Please call us @ (585) 662-2670 with any questions and to check availability. CARFAX ONE OWNER, CLEAN HISTORY & NO ACCIDENTS, ABS brakes, Alarm & Immobilizer Anti-Theft System, Convenience Package, EC Auto-Dimming Rearview Mirror w/ Compass, Electronic Stability Control, Heated door mirrors, HomeLink Universal Transceiver, Illuminated entry, Integrated Back-Up Camera w/Static Line, Leather Door Trim, Leather Package, Leather-Trimmed Ultrasuede Seats, Low tire pressure warning, Navigation System, Power Front Driver & Passenger Heated Seats, Radio: Display Audio w/Nav/Entune & JBL, Remote keyless entry, Traction control. Included with our Pre-Owned Promise you will received: * 12 Months or 12k mile Wearable Item Coverage * 6 Months or 6k mile Major Item Coverage * Love or Leave it Promise with 3 Day Refunds or 30 Day Exchanges * 12 Months of Roadside Assistance and much more!! Click her for complete details http://www.hoselton.com/about-us/hoselton-preowned-promise/ Awards: * 2012 KBB.com 10 Most Comfortable Cars Under $30,000 * 2012 KBB.com Best Resale Value Awards * 2012 KBB.com 10 Best Sedans Under $25,000 Please call us @ (585) 662-2670 with any questions and to check availability. CARFAX ONE OWNER, CLEAN HISTORY & NO ACCIDENTS, Ash/Black w/Fabric Seat Trim. Included with our Pre-Owned Promise you will received: * 12 Months or 12k mile Wearable Item Coverage * 6 Months or 6k mile Major Item Coverage * Love or Leave it Promise with 3 Day Refunds or 30 Day Exchanges * 12 Months of Roadside Assistance and much more!! Click her for complete details http://www.hoselton.com/about-us/hoselton-preowned-promise/ Awards: * 2016 KBB.com 5-Year Cost to Own Awards * 2016 KBB.com 10 Best UberX Candidates * 2016 KBB.com Best Buy Awards Finalist * 2016 KBB.com 10 Best Sedans Under $25,000 * 2016 KBB.com 10 Most Comfortable Cars Under $30,000 * 2016 KBB.com 10 Most Awarded Cars Please call us @ (585) 662-2670 with any questions and to check availability. CARFAX ONE OWNER, BACK UP CAMERA, ALLOYS, POWER SEAT, MOON ROOF, 4WD, 4WD, Sand Beige w/Fabric Seat Trim or Natural Leather Seat Trim, 8-Way Power Adjustable Driver's Seat, Daytime Running Lights, Driver & Passenger Heated Seats, Natural Leather Seat Trim, Power Tilt & Slide Moonroof w/Sunshade, Premium Package, Premium Plus Value Package. Included with our Pre-Owned Promise you will received: * 12 Months or 12k mile Wearable Item Coverage * 6 Months or 6k mile Major Item Coverage * Love or Leave it Promise with 3 Day Refunds or 30 Day Exchanges * 12 Months of Roadside Assistance and much more!! Click her for complete details http://www.hoselton.com/about-us/hoselton-preowned-promise/ Awards: * 2012 KBB.com 10 Best Late-Model Used Cars Under $15,000 * 2012 KBB.com Best Resale Value Awards Please call us @ (585) 662-2670 with any questions and to check availability. CARFAX ONE OWNER, CLEAN HISTORY & NO ACCIDENTS, ABS brakes, Electronic Stability Control, Heated door mirrors, Illuminated entry, Low tire pressure warning, Remote keyless entry, Traction control. THIS TOYOTA CERTIFIED VEHICLE INCLUDES * 12-MONTH/12,000 MILE COMPREHENSIVE WARRANTY * 7-YEAR/100,000 MILE POWERTRAIN WARRANTY! Awards: * 2016 KBB.com Best Buy Awards Finalist * 2016 KBB.com 5-Year Cost to Own Awards Please call us @ (585) 662-2670 with any questions and to check availability. 4WD, 16" Alloy Beadlock Style w/Locks (PPO) Wheels, ABS brakes, Convenience Package, Cruise Control, Electronic Stability Control, Illuminated entry, Low tire pressure warning, Privacy Glass, Remote Keyless Entry System, Sliding Rear Window, Steering Wheel Audio Controls. Included with our Pre-Owned Promise you will received: * 12 Months or 12k mile Wearable Item Coverage * 6 Months or 6k mile Major Item Coverage * Love or Leave it Promise with 3 Day Refunds or 30 Day Exchanges * 12 Months of Roadside Assistance and much more!! Click her for complete details http://www.hoselton.com/about-us/hoselton-preowned-promise/ Awards: * ALG Best Residual Value * 2013 KBB.com Best Resale Value Awards * 2013 KBB.com Brand Image Awards Please call us @ (585) 662-2670 with any questions and to check availability. 1.8L 4-Cylinder DOHC 16V VVT-i Aluminum. Included with our Pre-Owned Promise you will received: * 12 Months or 12k mile Wearable Item Coverage * 6 Months or 6k mile Major Item Coverage * Love or Leave it Promise with 3 Day Refunds or 30 Day Exchanges * 12 Months of Roadside Assistance and much more!! Click her for complete details http://www.hoselton.com/about-us/hoselton-preowned-promise/ Please call us @ (585) 662-2670 with any questions and to check availability. CARFAX ONE OWNER, CLEAN HISTORY & NO ACCIDENTS, BLUETOOTH, BACK UP CAMERA, ALLOYS, MOON ROOF, ABS brakes, Electronic Stability Control, Heated door mirrors, Illuminated entry, Low tire pressure warning, Remote keyless entry, S Plus Package, Traction control. THIS TOYOTA CERTIFIED VEHICLE INCLUDES * 12-MONTH/12,000 MILE COMPREHENSIVE WARRANTY * 7-YEAR/100,000 MILE POWERTRAIN WARRANTY! Awards: * 2016 KBB.com Best Buy Awards Finalist * 2016 KBB.com 5-Year Cost to Own Awards Please call us @ (585) 662-2670 with any questions and to check availability. CARFAX ONE OWNER, CLEAN HISTORY & NO ACCIDENTS, BLUETOOTH, BACK UP CAMERA, ALLOYS, POWER SEAT, Black w/Sport Fabric Softex-Trimmed Front Seat Trim. Included with our Pre-Owned Promise you will received: * 12 Months or 12k mile Wearable Item Coverage * 6 Months or 6k mile Major Item Coverage * Love or Leave it Promise with 3 Day Refunds or 30 Day Exchanges * 12 Months of Roadside Assistance and much more!! Click her for complete details http://www.hoselton.com/about-us/hoselton-preowned-promise/ Awards: * 2016 KBB.com 10 Most Comfortable Cars Under $30,000 * 2016 KBB.com 10 Best Sedans Under $25,000 * 2016 KBB.com Best Buy Awards Finalist * 2016 KBB.com 5-Year Cost to Own Awards * 2016 KBB.com 10 Best UberX Candidates * 2016 KBB.com 10 Most Awarded Cars Please call us @ (585) 662-2670 with any questions and to check availability. Ash/Black w/Sport Leather-Trimmed Ultrasuede Seat Trim, ABS brakes, Alloy wheels, Electronic Stability Control, Heated door mirrors, Illuminated entry, Low tire pressure warning, Remote keyless entry, Traction control. THIS TOYOTA CERTIFIED VEHICLE INCLUDES * 12-MONTH/12,000 MILE COMPREHENSIVE WARRANTY * 7-YEAR/100,000 MILE POWERTRAIN WARRANTY! Awards: * 2016 KBB.com 10 Most Awarded Cars * 2016 KBB.com 10 Best Sedans Under $25,000 * 2016 KBB.com 10 Best UberX Candidates * 2016 KBB.com 10 Most Comfortable Cars Under $30,000 * 2016 KBB.com Best Buy Awards Finalist * 2016 KBB.com 5-Year Cost to Own Awards Please call us @ (585) 662-2670 with any questions and to check availability. Black w/Fabric Seat Trim, ABS brakes, Electronic Stability Control, Heated door mirrors, Illuminated entry, Low tire pressure warning, Remote keyless entry, Traction control. THIS TOYOTA CERTIFIED VEHICLE INCLUDES * 12-MONTH/12,000 MILE COMPREHENSIVE WARRANTY * 7-YEAR/100,000 MILE POWERTRAIN WARRANTY! Awards: * 2016 KBB.com 10 Most Awarded Cars * 2016 KBB.com 5-Year Cost to Own Awards * 2016 KBB.com Best Buy Awards Finalist * 2016 KBB.com 10 Most Comfortable Cars Under $30,000 * 2016 KBB.com 10 Best Sedans Under $25,000 * 2016 KBB.com 10 Best UberX Candidates Please call us @ (585) 662-2670 with any questions and to check availability. CARFAX ONE OWNER, CLEAN HISTORY & NO ACCIDENTS, 2.5L 4-Cylinder Atkinson-Cycle DOHC 16V, ABS brakes, Alloy wheels, Blind Spot Monitor & Cross Traffic Warning, Compass, Electronic Stability Control, Front dual zone A/C, Heated door mirrors, Heated front seats, HV XLS Grade Package, Illuminated entry, Leather Seat Trim, Low tire pressure warning, Power moonroof, Remote keyless entry, Touring Package, Traction control, Wide Angle Fog Lamp Front Fog and Driving Lamp. Included with our Pre-Owned Promise you will received: * 12 Months or 12k mile Wearable Item Coverage * 6 Months or 6k mile Major Item Coverage * Love or Leave it Promise with 3 Day Refunds or 30 Day Exchanges * 12 Months of Roadside Assistance and much more!! Click her for complete details http://www.hoselton.com/about-us/hoselton-preowned-promise/ Awards: * 2013 KBB.com Brand Image Awards * 2013 KBB.com Best Resale Value Awards Please call us @ (585) 662-2670 with any questions and to check availability. CARFAX ONE OWNER, CLEAN HISTORY & NO ACCIDENTS, BACK UP CAMERA, POWER SEAT, Ash Fabric. THIS TOYOTA CERTIFIED VEHICLE INCLUDES * 12-MONTH/12,000 MILE COMPREHENSIVE WARRANTY * 7-YEAR/100,000 MILE POWERTRAIN WARRANTY! Awards: * 2016 KBB.com 5-Year Cost to Own Awards * 2016 KBB.com 10 Best Sedans Under $25,000 * 2016 KBB.com 10 Most Awarded Cars * 2016 KBB.com 10 Most Comfortable Cars Under $30,000 * 2016 KBB.com 10 Best UberX Candidates * 2016 KBB.com Best Buy Awards Finalist Please call us @ (585) 662-2670 with any questions and to check availability. CARFAX ONE OWNER, CLEAN HISTORY & NO ACCIDENTS, BLUETOOTH, BACK UP CAMERA, POWER SEAT, Ash w/Fabric Seat Trim. THIS TOYOTA CERTIFIED VEHICLE INCLUDES * 12-MONTH/12,000 MILE COMPREHENSIVE WARRANTY * 7-YEAR/100,000 MILE POWERTRAIN WARRANTY! Awards: * 2016 KBB.com 10 Most Awarded Cars * 2016 KBB.com 10 Best Sedans Under $25,000 * 2016 KBB.com Best Buy Awards Finalist * 2016 KBB.com 10 Best UberX Candidates * 2016 KBB.com 10 Most Comfortable Cars Under $30,000 * 2016 KBB.com 5-Year Cost to Own Awards Please call us @ (585) 662-2670 with any questions and to check availability.